Citibank offers a wide range of credit cards. Its 0% balance transfer and purchase cards offer some of the longest no interest introductory rates available today. 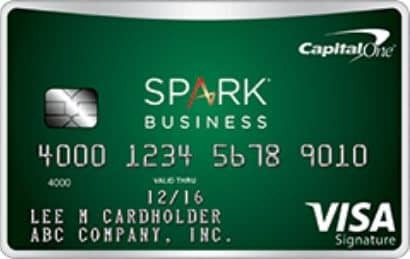 Citi’s cash back cards are top ranked. And it offers some excellent points and miles travel cards. I’ve carried Citi® credit cards for years. Back in the day I took advantage of Citi’s 0% balance transfer cards. Today the Citi® Double Cash is my everyday card because it pays 2% cash back–1% on purchases + 1% when you pay for those purchases. Editor’s Pick: Without question the top pick goes to the Citi® Double Cash Card. It pays 1% on very purchase + 1% when you pay for the purchase. It has no annual fee and a 0% introductory APR for 18 months on balance transfers. Rewards: Earn 3X ThankYou® Points on Travel including Gas, 2X ThankYou® Points on Dining Out and Entertainment, and 1X ThankYou® Points on Other Purchases. Rewards: 2 ThankYou® Points per dollar spent on dining at restaurants and entertainment / 1 ThankYou® Point on other purchases. Bonus: Earn 15,000 bonus ThankYou® Points after $1,000 in card purchases within 3 months of account opening – redeemable for $150 in gift cards or other great rewards. 0% Offer: 0% intro APR on Balance Transfers and Purchases for 12 months. Rewards: Earn 1% on Purchases & 1% on Payments. Rewards: Earn 2 AAdvantage® Miles on every $1 spent on eligible American Airlines purchases, and 1 AAdvantage® mile on all other purchases. First checked bag is free on domestic American Airlines itenraries for you and up to four companions traveling with you on the same reservation*Enjoy Group 1 Boarding on American Airlines flights. Bonus: Earn 50,000 American Airlines AAdvantage® bonus miles after making $2,500 in purchases within the first 3 months of account opening. Rewards: Earn 2 AAdvantage® miles for every $1 spent on eligible American Airlines purchases and 1 AAdvantage® mile for every $1 spent on other purchases. Admirals Club® membership for you with guest privileges*10,000 Elite Qualifying Miles from American Airlines after $40,000 spent in purchases each calendar year. First checked bag is free on domestic American Airlines itineraries for you and up to eight companions traveling with you on the same reservation. Bonus: Earn 50,000 American Airlines AAdvantage® bonus miles after spending $5,000 in purchases within the first 3 months of account opening. Rewards: Earn 6 HHonors™ Bonus Points for each $1 spent at any participating hotel within the Hilton Portfolio. Earn 3 HHonors™ Bonus Points for each $1 spent on purchases at supermarkets, drugstores and gas stations. Earn 2 HHonors™ Bonus Points for each $1 spent on all other purchases. Bonus: Earn 40,000 Hilton HHonors™ Bonus Points after making $1,000 in purchases within the first 4 months of account opening. Rewards: Earn 10 HHonors™ Bonus Points per $1 spent on hotel stays within the Hilton portfolio. Earn 5 HHonors™ Bonus Points per $1 spent on airline and car rental purchases. Earn 3 HHonors™ Bonus Points per $1 spent on all other eligible purchases. Bonus: Earn 2 weekend night certificates good at select hotels and resorts within the Hilton portfolio after you make $2,500 in purchases within 4 months of account opening. Rewards: 4 Expedia+ bonus points per $1 spent on eligible Expedia purchases including flights, hotels, activities and vacation packages. 2 Expedia+ bonus points per $1 spent on purchases for dining out and entertainment, including tickets to concerts, movies and sporting events. 1 Expedia+ bonus point per $1 spent on other purchases. Expedia+ gold status is complimentary for as long as you are a cardmember. Bonus: Earn a $100 statement credit after your first eligible Expedia purchase greater than $100 within 3 month of account opening. PLUS, earn 20,000 Expedia+ rewards bonus points after $2,000 in purchases within 3 months of account opening. Points redeemable for $250 in coupons at +VIP Access™ hotels or $125 at other hotels. 0% Offer: 0% Intro APR on Balance Transfers and Purchases for 21 months. Rewards: Citi Easy DealsSM Get what you want for less. Earn Citi® Easy Deals Points for the purchases you make with your card. Redeem your points for great online deals on name-brand merchandise, gift cards and even local deals. 0% Offer: 0% Intro APR on Balance Transfers for 21 months and on Purchases for 12 months. Rewards: 2 ThankYou® Points per dollar spent on purchases for dining at restaurants and entertainment. 1 ThankYou® Point on other purchases. Bonus: Earn 2,500 bonus ThankYou® Points after spending $500 within the first 3 months of cardmembership. 0% Offer: 0% intro APR on purchases for 7 months. Rewards: Earn 2 AAdvantage® miles per $1 spent on eligible American Airlines® purchases. Earn 2 AAdvantage® miles for every $1 spent on purchases, telecommunications and car rental merchants – and at gas stations after 11/15/15. Earn 1 AAdvantage® mile per $1 spent on other purchases. Bonus: For a limited time, earn 50,000 American Airlines AAdvantage® bonus miles after making $3,000 in purchases within the first 3 months of account opening.